As part of Massey Ferguson's long-term growth strategy it intends to acquire and transform a neighbouring site. The intended acquisition of this 15.7ha site, which includes 4.5ha of buildings, signals AGCO's strong appetite for continued investment. These new facilities will help accelerate development of new innovations, providing customers with further benefits to boost efficiency and reduce operating costs. This proposed acquisition was announced at the opening ceremony of Beauvais 3, an 8ha site, with a 30,000m² building, that houses Massey Ferguson's new logistics centre. Here a multi-million investment has created 103 new jobs. "The official opening of Beauvais 3 marks just one of the first milestones in 'MF Growing Together 5' - the brand's five-year growth programme. Located immediately between the new Beauvais 3 Logistic Centre and the Main Site, the new site presents opportunities for AGCO and Massey Ferguson to implement growth plans, previously limited by a lack of space." "We are looking for an additional multimillion euros investment as we develop a cutting-edge industry 4.0 site which will add 200 new sustainable jobs to the already 100+ created with Beauvais 3. At the end this new investment phase AGCO will have created 300 new jobs for its local Beauvais community. 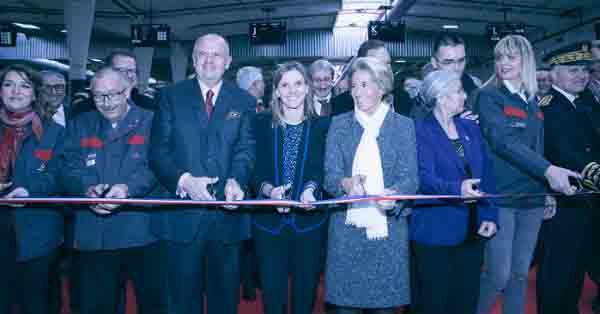 We intend Beauvais to become the Global Home of the Massey Ferguson Brand", said Martin Richenhagen, Chairman, President and Chief Executive Officer of AGCO Corporation.